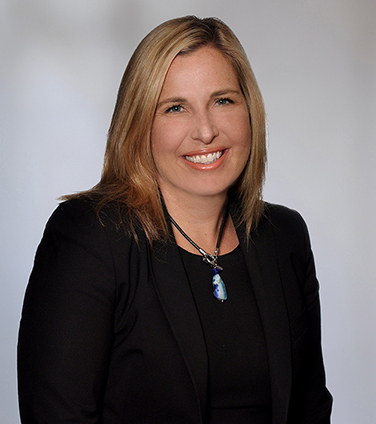 Jana Steele is a partner in Osler’s Pensions & Benefits Group. Jana has provided advice on the conversion and implementation of the “Shared Risk Plan” pension model for several plans in the province of New Brunswick. She has significant expertise and experience regarding plan design, including innovative plan designs, such as shared risk and target benefit plans – and has written extensively on such plans. Jana also has extensive experience dealing with pensions and benefits in the context of corporate transactions. She is involved in providing advice with respect to both the establishment and the ongoing administration of pension plans. Jana advises on issues such as plan structure, governance, administration, compliance, trustee obligations, surplus matters, plan conversions, plan mergers, transfers and plan wind-ups. Jana also has experience dealing with pensions and benefits issues arising in insolvencies and corporate restructurings. Jana’s clients have included universities, non-profit entities, governments, multinational corporations and multi-employer pension plans. In addition, she has significant transaction experience involving numerous publicly traded entities. Such transactions routinely involve pension plans with employees in numerous Canadian jurisdictions. Jana is a past chair of the pensions and beneﬁts executive of the Ontario Bar Association. She has been a guest lecturer at the University of Toronto Faculty of Law, Osgoode Hall Law school, Western Law, and the University of Calgary. Jana recently chaired an international pension lawyer conference in Brussels with the International Pensions and Employee Beneﬁts Lawyers Association (IPEBLA). Jana is the chair of the IPEBLA Steering Committee. Jana was also a member of the FSCO Legal Advisory Committee for several years. Jana has assisted and advised on several conversions to shared risk plans in both the public and the private sectors in the province of New Brunswick.
" 'outstanding professional' and 'she's doing extremely high-profile and well-respected work.' "
"...admired for her work on plan design and 'exceptional expertise' in the area of shared risk and target benefit plans." Target Benefit Pension Plans: A Solution for Pension Security and Sustainability? Mid-Year Employment Law Update: Are you covering all your bases? Jana has published articles in numerous publications, including Canadian Labour & Employment Law Journal, Pension Investment Association of Canada Communique, Benefits Canada magazine, the Estates, Trusts and Pensions Journal and the Canadian Tax Journal. Jana has co-authored two reports for the C.D. Howe Institute on target benefit plans. She has written and spoken extensively on issues facing pension plans and their sponsors. Jana has appeared as a pension expert on CBC’s former show, the Lang and O’Leary Exchange, and on BNN. The Taxation of Single-Employer Target Benefit Plans – Where We Are and Where We Ought to Be, Ian McSweeney, Jana Steele, Barry Gros and Karen Hall, March 2015. Pension Plan Risk Management in Canada, International Pension Lawyer, August 2014. Target Benefit Plans in Canada – An Innovation Worth Expanding, Jana R. Steele, Angela Mazerolle and Mel Bartlett, C.D. Howe Institute, Commentary No. 411, July 2014. New Brunswick tackles pension sustainability, Canadian HR Reporter, January 13, 2014. Speaker, “Navigating DC legal risks”, Benefits Canada – 2016 Benefits & Pensions Summit, March 31 & April 1, 2016. Speaker, “Pension Innovation in Canada”, Superannuation Committee of the Law Council of Australia – The Calm Before the Storm, February 25 & 26, 2016. Speaker, “Addressing Alternatives in Plan Design”, Canadian Institute – Canadian Workplace Pensions Forum, September 28, 2015. Speaker, “Pension Reform/Innovation Update”, ISCEBS – 34th Annual ISCEBS Employee Benefits Symposium, August 25, 2015. Speaker “Municipalities in Financial Distress: Pensions”, CAIRP Annual Conference, August 22, 2015. Speaker, “Hot Spots: Changes to Ontario’s Pension Landscape for Better or For Worse,” The Canadian Bar Association Pension & Benefits Law Seminar, March 5, 2015. Speaker, “Fireside Chat on the Pros and Cons of Target Benefit Plans,” Defined Benefit Summit 2014, December 11, 2014. Speaker, “The Pension Plan is Dead, Long Live the Pension Plan: New Trends in Pension and Other Retirement Plan Design,” International Pension & Employee Benefits Lawyers Association (IPEBLA), Webinar, October 30, 2014. Speaker, “Pension Innovation in Canada,” International Society of Certified Employee Benefit Specialists (ISCEBS), 33rd Annual Conference, Phoenix, September 8, 2014. Speaker, This Ontario Budget Proposes Target Benefit Pensions - What Does That Mean?, The Inside Agenda Blog (interview with Gregg Thurlbeck), July 18, 2014. Speaker, “Yup, there IS a sane solution on pensions”, Business Day AM, BNN, July 9, 2014. Speaker, “New Trends in Pension and Other Retirement Plan Design,” Benefits Without Borders, Global Pension and Employee Benefits Lawyers Conference, Chicago, June 23, 2014.